Bellmont Cabinet Company’s upcoming Q4 Product Update showcases the Crossbuck door style, bringing a modern country theme to any design! Perfect for both a stylish design accent, or full kitchen designs, the Crossbuck door features a slab drawer front and only has a few stylish restrictions. Available NOW! 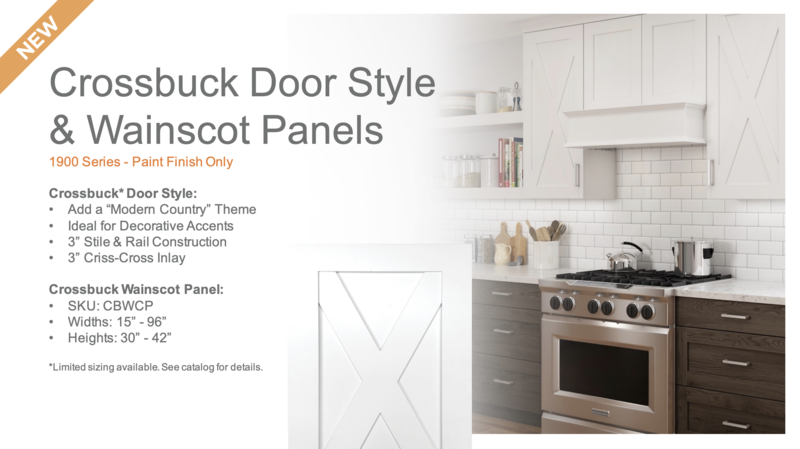 Click here to see Crossbuck Door Details!